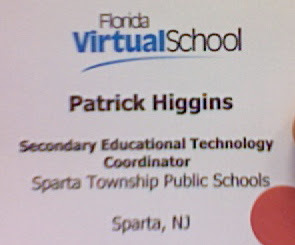 Establishing a virtual school requires buy in from all of the stakeholders in your community. In order to win that, and it is something that has to be won, your message has to be clear, ethical, and seen as driven from an altruistic motive, which of course it will be. This type of school is by its nature non-traditional, and will be seen as a change to current environment. It’s safe to say that when you introduce change, it has to be done in a careful way, and with great care given to bringing the right people on board with you. Otherwise, counselors are also people who need to brought on (see below), the public, administrators, teachers, parents, etc., are going to be wary of adding this to your district’s offerings. * making sure that your students/teacher have access to the classes. Counselors are the gateway to the students getting access to the classes. * Sell the counselors on the idea, and the students will follow into the classes. * This makes perfect sense because counselors tend to know the needs of specific students as well as the general trends for overall grade levels because they analyze the trends that students exhibit while registering for classes. * How do we publicize this? And in publicizing the virtual school, would be we be unethical in relation to the other subjects? Seriously, no one advertises their Economics 101 class during scheduling? * the initial meeting is the beginning of this process. Once the students are enrolled and participating in the classes, the personal nature of the teacher/student relationship furthers this.